Good Times Alum Performs at the Lobero! 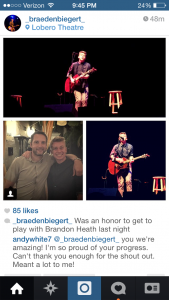 We are very proud of Braeden Biegert! 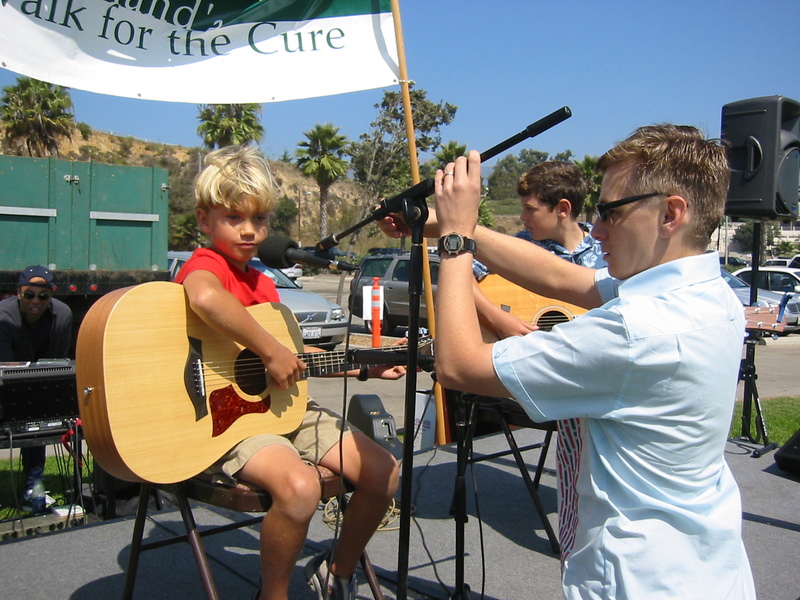 He got his start with Good Times Guitar. We always knew he was a special talent that would go far. 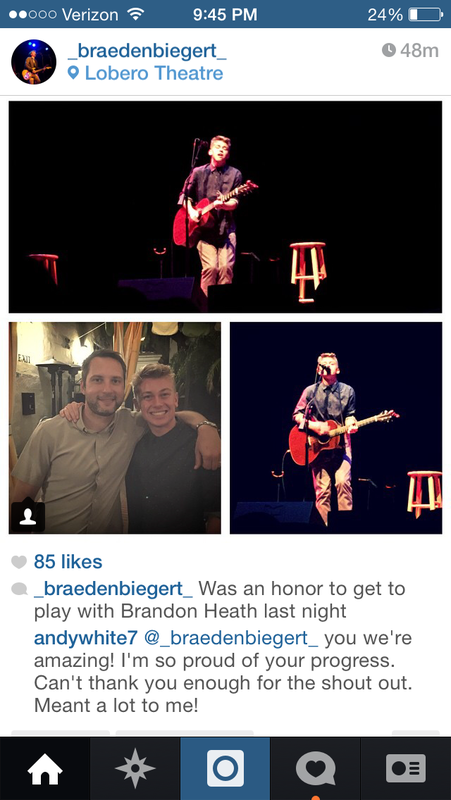 Well, he just recently rocked a full house at the Lobero Theater in Santa Barbara at the Brandon Heath concert. He did amazingly well. We really appreciated the way he thanked us before his performance! Thank you, Braeden! Keep up the great work!! His band, Trip Aces, also includes another Good Times prodigy, bass player Brett Knowles. 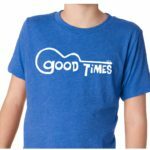 Good Times Alum releases Album!